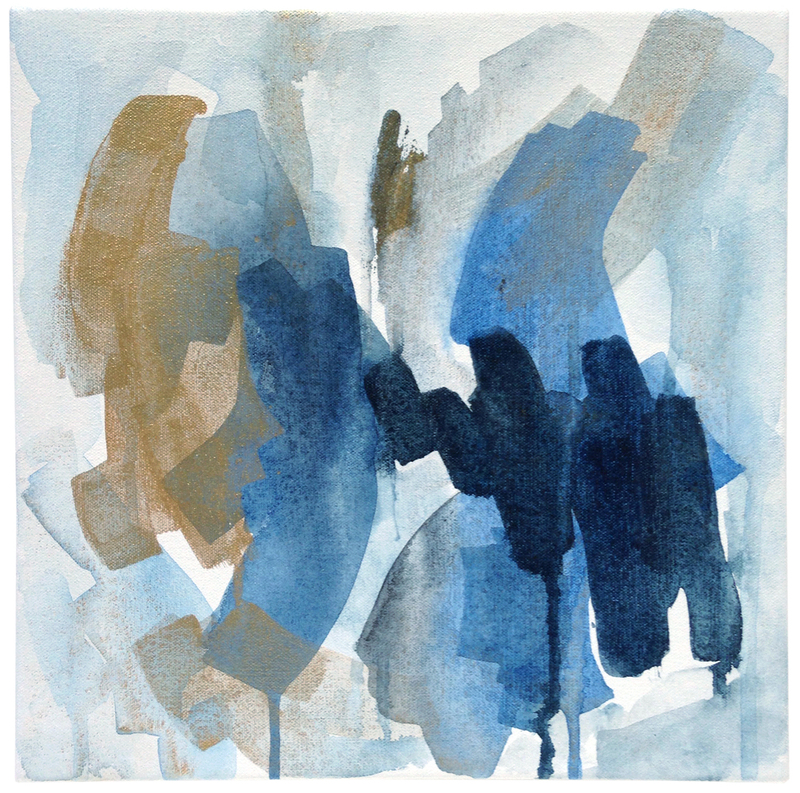 The second series of paintings from May found their start in my readings of The Long Waters, one of the last poems of Theodore Roethke (for a brief introduction to Roethke see Part I). The works from Part I, based on his poem The Storm, are darker and more heavily layered (much like their poetic counterpart), whereas this series of works are lighter and more fluid in their layers. Although all of my works this spring have benefitted from my movement studies project (a series of pared down, minimal studies on paper, focusing on my body’s motion, rhythm and repetition), this group of four works is a more visable extension of those studies. This series of four made their debut in Chairish’s open studio on Instagram at the end of the month. Although they are no longer available, I'll be sharing a few similar pieces on my site soon. Roethke's poem, The Long Waters, follows at the end of the post. Side note: So many thanks to the amazing, supportive folks over at Chairish for the opportunity to participate in their event. And most importantly, a huge thanks to the buyers of these (and other) pieces. For those of you who are new to my art, it is important for me to let you know that this work is also my occupation, and it is only with this support that I am able to continue doing what I do. Rejoice in the language of smells and dancing. And the thrush stopped in the middle of his song. A country of bays and inlets, and small streams flowing seaward. The dubious sea-change, the heaving sands, and my tentacled sea-cousins. The blue jay rasping from the stunted pine. The first snow of the year in the dark fir. Feeling, I still delight in my last fall. Down by the muck shrinking to the alkaline center. By small streams running down under fallen fir trees. To a tree lying flat, its crown half broken. Surrounded by sand, broken shells, the wreckage of water. So the sea wind wakes desire. My body shimmers with a light flame.